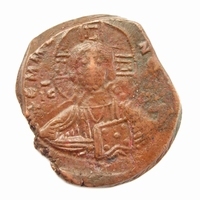 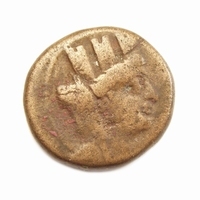 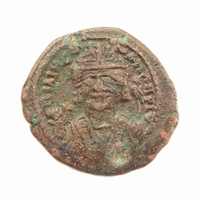 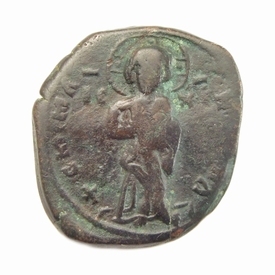 Obverse: Christ standing facing, wearing nimbus and holding Book of Gospels. 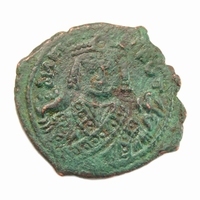 Legend: +EMMA NOVHA; IC XC across fields. 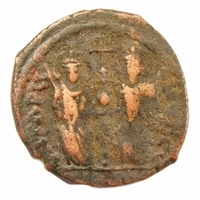 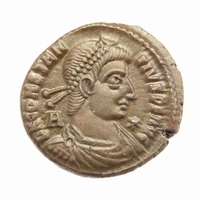 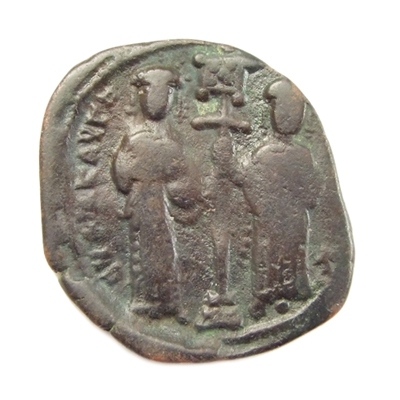 Reverse: Eudocia standing on left, Constantine standing on right, each one places one hand on heart, both standing facing on base and three steps, holding labarum with cross-piece on shaft between them.